General objective of this report is to analysis Financial Activities of Al Arafah Islami Bank Limited. Other objectives are to know about the policy of general Banking, Accounts and advance and loan recovery techniques. Report also explain the meaning and concept of consumer deposit Scheme. Finally Focus on about the banking software and analyze the financial activities of Al-Arafah Islami Bank Limited. This report is basically prepared on the basis of my experience with AIBL. The basic source of data collection is based on both the primary and secondary sources which are used in the preparation of this report. Observation of daily transaction for operation level. Questioning with concerned persons ( officers , & employees ). 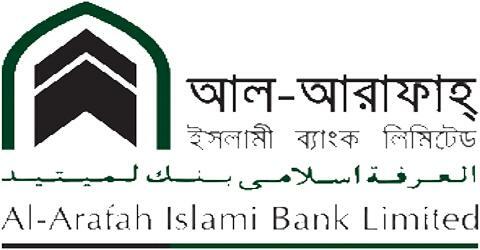 An Islamic bank has several distinctive features as compared to its conventional counterpart. Chapra had outlined some essential difference as blew. Al-Arafah Islami Bank is established on the basis of some Islamic ideology so that it can insure the Islamic economic system. AIBL is competing with successfully as a fast track leading organization in the Islamic banking sector and non- Islamic banking sector. All standing orders, instructions, etc. of the Regulator and Authority of the Bank issued from time to time & in force. Mirpur Branch is one of the most important Branches of AIBL. This branch was established in Decebber9, 1997. It is situated Mirpur -1 in a commercial area at the centre of the Mirpur. This branch acts as an authorized dealer reprehensive of AIBL. Now it has around 19 employees. This plays a vital role in increasing profitability of AIBL. Let us go through the working report for each of the department. Under this scheme can be built up a significant amount of deposit money by depositing monthly respectively Tk.,2375,Tk.1275,Tk.670,Tk.460 and Tk. 335 for the years 3,5,8,10& 12. At maturity level total amount of approximately Tk.100000. Al- Arafah Islami Bank Limited should delegate authority and responsibility to the branch so that they can take some decision in some cases. The authorities must keep it mind that `No risk No gain’ is the main philosophy of a business. So they should investment in the small and cottage industries even in the medium and large scale business. Its advertisement must set up on the target based and adequate. As the management Information System is new, they should provide proper training the employees. Al- Arafah Islami Bank should introducing multidimensional service products to compete with other competitors. Skilled employees must be recruited to provide better services. Top level management should take proper decision. The authorities of AIBL should set up right personnel to the right place at the right time.